June 15th, 2016 is considered Jeep’s 75th anniversary because on this day in 1941, the first official order was placed for the Willys-Overland military buggy we would come to recognize as a “jeep.” In honor of that, check out this amazing album of Wranglers and their forerunners! Now obviously not every Jeep or “jeep” in this gallery was called a Wrangler, but they were all key parts of the vehicle’s history. Without the success of the pokey little rigs in this album, Fiat Chrysler’s inefficient, primitive and beloved buggy we know as the Wrangler wouldn’t be around today. 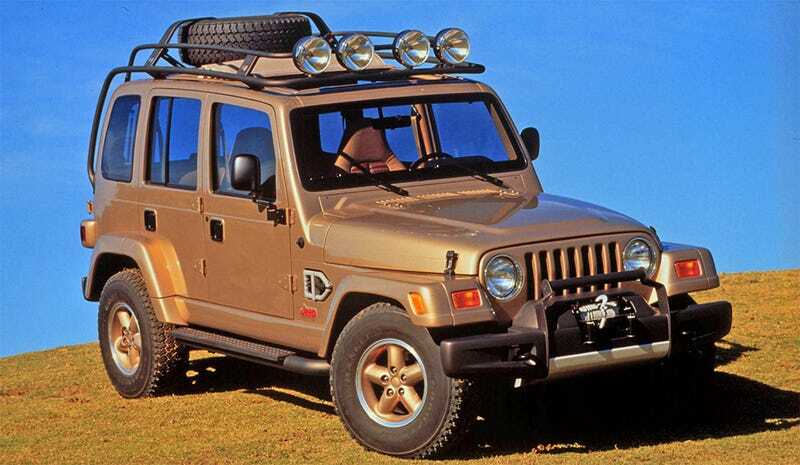 As I write this Jeep is also cooking up a one-off “75th anniversary” Wrangler that basically builds the current vehicle in a spec that’s as close to the original Willys as it can be without messing with the 2016 (JK) platform too much. So far we’ve only seen one real photo and one render of that, I believe because it isn’t fully finished yet. Thankfully Jeep has a massive gallery of heritage images to hold us over while we celebrate their birthday. ...And I’m sure you know what the current (JK) bodystyle looks like. Once the new one (JL) drops for 2018, we can add the 2007 to “present” into the family photo album.